I didn’t get the ebook download either. it comes in the mail – it’s a link in one of the emails you’ll get. 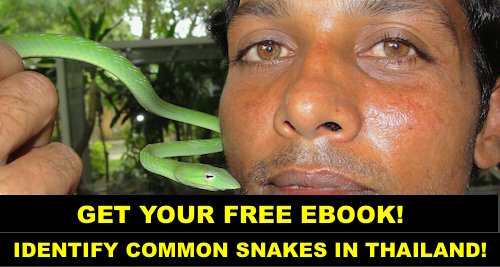 Hi, I am trying to download the ebook “Thailand Snakes” but it doesn’t work. 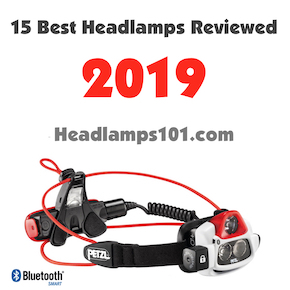 Very Very useful! Thanks a lot! Glad to hear it! 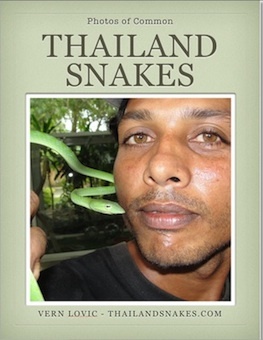 I have another book coming out soon – just focused on all venomous snakes in Thailand. This one will be more comprehensive than the free book. 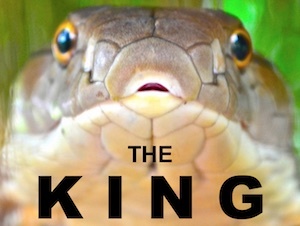 (1) I just received an e-mail about a book called “Is that Snake in Your House Dangerous?” I am interested but would you please confirm that this is YOUR e-mail, and not a scam. It looks legit but I am always extremely careful. (2) Also, I suppose it is possible to pay in Baht, rather than in US$, right? The easiest way would then be to just pay the amount into your bank account. (3) Does the hard copy book contain the same info (but more, like you wrote) as your e-mail book? Or is it better to get both? Thank you and be careful! 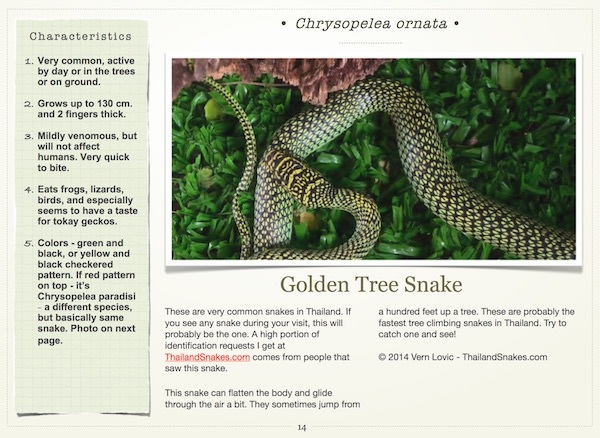 There is no hard copy book – I have only made ebooks for the snake books. Yes, you can pay in baht, I’ll email you. 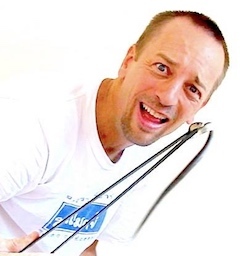 My email is info@thailandsnakes.com. I sent the emails out from the wrong address. It’s one of ours also, but should have used the snake site address! Cheers! 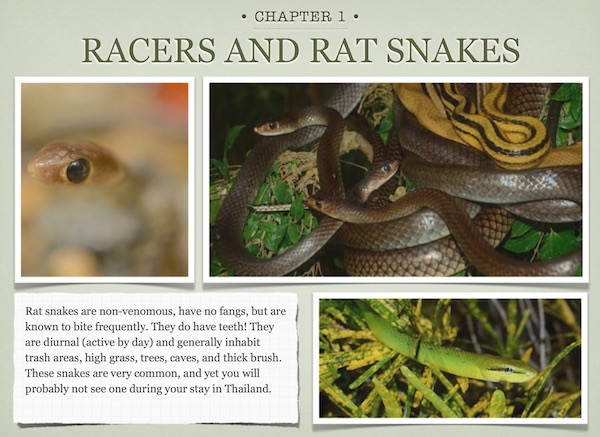 Hi, please send me a book.pdf about the Thai snakes! Thank you in advance! 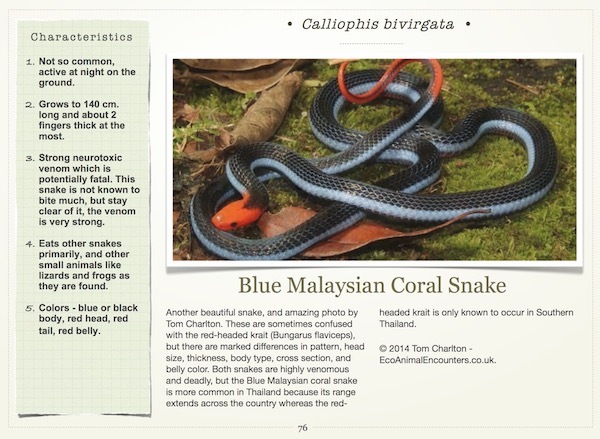 This morning I went through all the steps to download your snake book for Thailand including subscribing and nothing? Write me through the contact page.